This page includes and information related to Cadillac and the V-Series brand. All news received from Cadillac or other news sources will be published on this page. The 2019 CT6-V - Sold out! Introducing the first-ever CT6-V. From its striking design to its groundbreaking powertrain, the CT6-V is as powerful as it is exhilarating. Only a limited number of vehicles will be for delivery mid-2019. 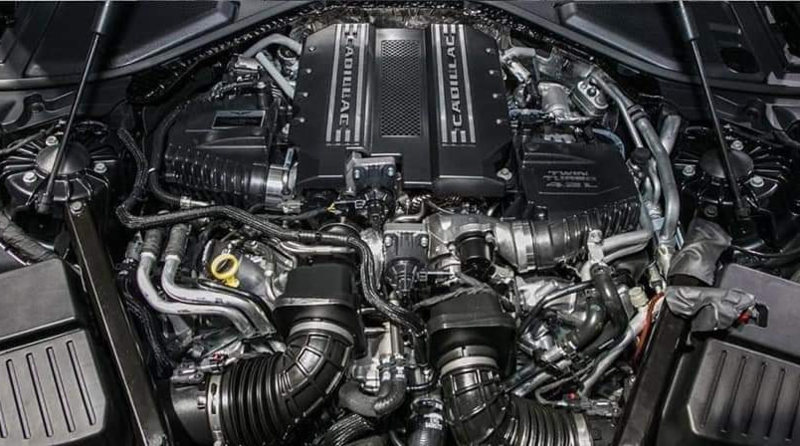 Cadillac has developed a high-performance CT6-V powered by the brand-exclusive 4.2-liter twin-turbocharged V-8 known as the Blackwing, which will be offered for 2019 only. Owners can expect at least 550 horsepower and 627 pound-feet of torque on tap when the full-size sport sedan starts deliveries this summer, though they'll have to pay up $88,790 for the privilege. The purchase price also includes a 2-day driving course at a Cadillac-hosted event at the Spring Mountain Motor Resort in Pahrump, Nevada. Sadly, the circle of owners will be a small one. Cadillac has decided to limit production to just 275 units—and yes they're all sold out! Cadillac is ramping up the performance of its lineup-topping CT6 luxury sedan for 2019. The CT6 will be available as a V model for the first time, joining the CTS-V and ATS-V among Cadillac’s highest-performance offerings. 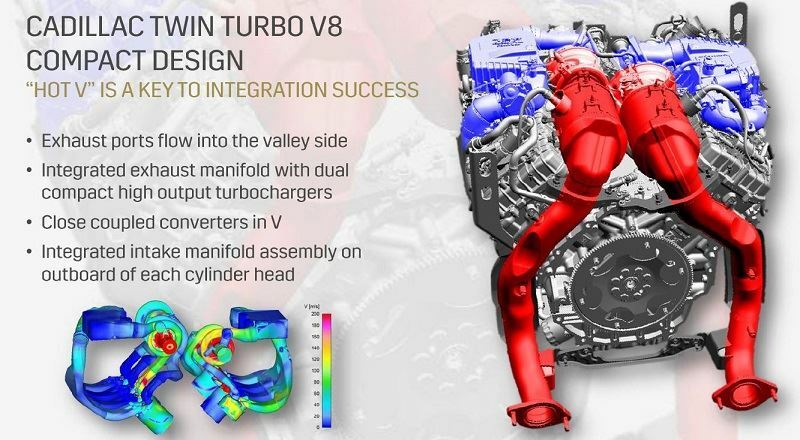 However, the CT6-V is significant not only because it’s a new model but also because it debuts an all-new twin-turbocharged V-8 engine. The CT6-V does expand Cadillac’s V lineup as the company stated. It will join the ATS-V and CTS-V in the high-performance segment through the 2019 model year, so if you still want to savor the fruits of either offering, there's time to make it happen. As for the new sedans replacing both them, we will have to wait and see what Cadillac has in store. The company has an ambitious plan to roll out a new vehicle every six months between now and 2021. The CT6-V has specific tuning that stiffens the suspension to abate body roll, and the standard Magnetic Ride Control dampers have been recalibrated. A mechanical limited-slip differential is fitted, and the steering has been retuned. The CT6-V rides on 20-inch wheels hugged by performance summer tires, and four-piston monoblock Brembo brake calipers should give drivers confidence in the left pedal. 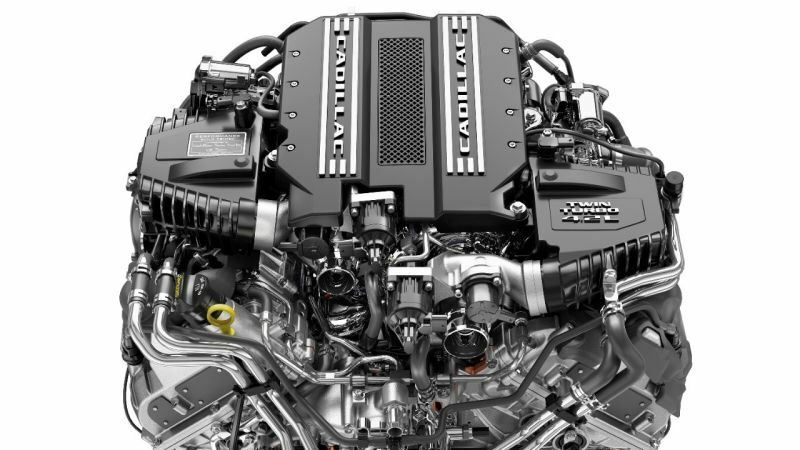 Cadillac also added a sport exhaust system with active valves for a livelier soundtrack. A Track driving mode alters the all-wheel-drive system's torque split, the stability-control mapping, the specially tuned rear-wheel steering, and the suspension firmness. 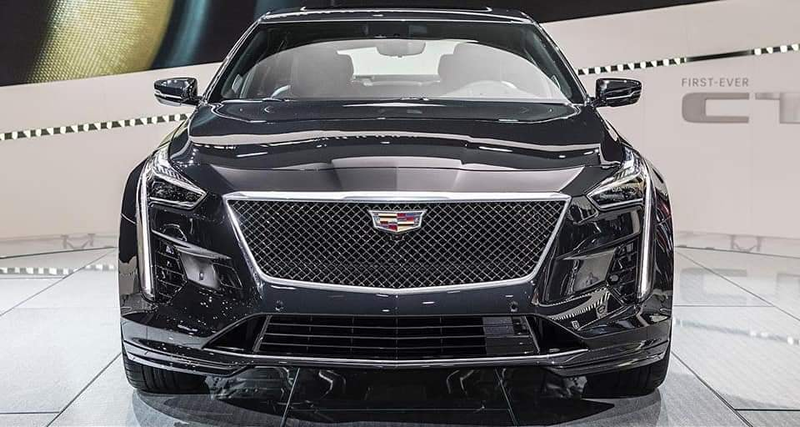 To visually distinguish the CT6-V from the rest of the CT6 lineup, there's a dark, "V-inspired" mesh grille and LED headlights. Lower-body aero pieces provide a sportier look, the windows are outlined with gloss-black trim, and a rear spoiler finishes the package. The V sits at the top of a refreshed CT6 lineup, which will be divided into Luxury and Sport trims, a strategy similar to that of the Mercedes-Benz E-class. The entire refreshed 2019 CT6 lineup shows influences from the Escala concept, with horizontal styling elements incorporated into the reworked front and rear ends. Cadillac's Super Cruise suite of driver-assistance systems is not offered on the CT6-V, but there is plenty of other news on the technology front. A revised rear-camera mirror can tilt and zoom, the 360-degree-view monitor includes a video-recording function that activates when the security system is activated, pedestrian detection and automated braking now work when backing up as well as when going forward, and the wireless device charging capability has been enhanced. 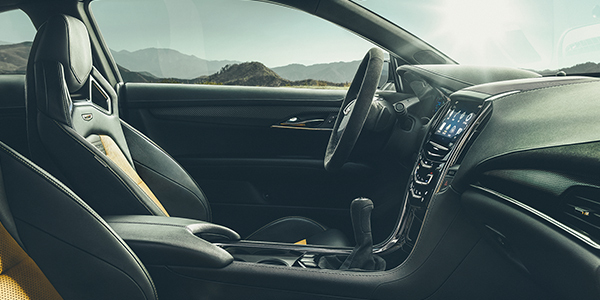 Most welcome, however, may be the changes to Cadillac's much derided CUE infotainment interface, which gains a rotary controller and a volume knob as well as shortcut buttons to primary menu functions. FOR MORE INFORMATION, please contact JL Lavina at 646-256-5254 or email jorge.lavina@cadillac.ocm or Tom Read at 248-496-0852 or email tom.read@gm.com. 550 / 410 @ 5700 (CT6 V-Sport) – est. 500 / 373 @ 5000-5200 (CT6) – est. 627 / 850 @ 3200-4000 (CT6 V-Sport) – est. 553 / 750 @ 2600-4600 (CT6) – est. Manufacturer Endurance Championships in 2017, Cadillac has announced a limited-production Championship Edition of the company's high-performance models: the 2018 ATS-V coupe and sedan and the 2018 CTS-V sedan. Cadillac made its return to endurance racing in 2016, 14 years after it last competed in the category, entering three cars in IMSA’s Daytona Prototype international (DPi) class. Including Jeff Gordon, Ricky Taylor, Jordan Taylor and Max Angelelli’s win at the season-opening Rolex 24 at Daytona, Cadillac’s DPi-V.R racers won the first seven races of the season to clinch the manufacturer’s championship. Additionally, the Konica Minolta team—one of three race teams running Cadillac’s DPi-V.R prototype race car—took the team championship, and brothers Ricky and Jordan Taylor won the drivers’ championship. 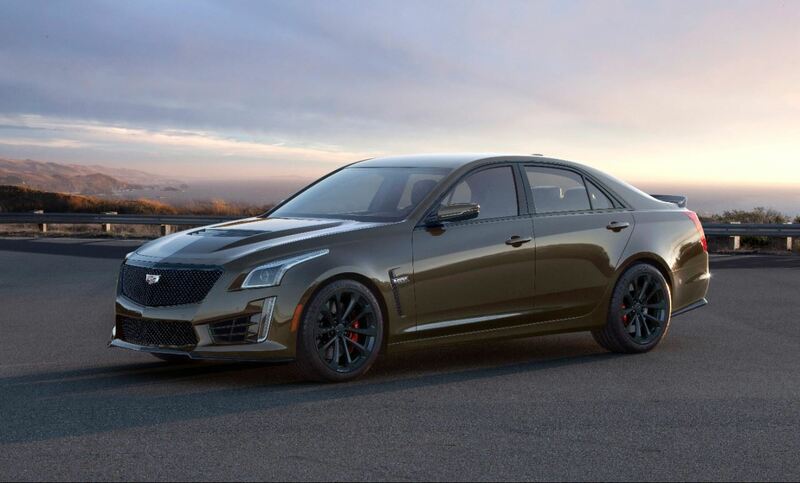 The cars that mark the achievement are the ATS-V Championship Edition coupe and sedan and the CTS-V Championship Edition. All models come in black or white with red accents. Special graphics adorn the hood, spoiler, and quarter-windows. Each also come with a Carbon Fiber package (front splitter, hood vent, rear spoiler, and rear diffuser), a Morello Red package (split-folding rear seats with red stitching and red-accented carbon-fiber interior trim), Recaro seats, and Brembo brake calipers (also in red). The ATS-V further includes a sunroof and special 18-inch wheels. In the CTS-V, the Championship Edition also throws in a large sunroof, a Luxury package, and special 19-inch wheels. And all V-series cars come with a gratis session of driving instruction at a two-day V-Performance Academy in Pahrump, Nevada within the first year of ownership. There will only be 200 manufactured so if you want one of these limited edition V's, better give Sewell Cadillac, Ken Batchelor Cadillac or Covert Cadillac a call today and place your order! Cadillac dinner– the night will be determined. Transportation in a Shuttle with the other Cadillac students to the airport leaving at 4:30 exact. While at Spring Mountain you can stay in one of their luxurious condos. http://www.springmountainmotorsports.com/facility/amenities/condos. Prices start at $110.00 plus tax and go up to $175.00 and are available only for the duration of your school. They have a kitchen in their Clubhouse and have hired their own executive chef which allows them to offer a hot breakfast buffet each morning, and a delicious catered lunch included in the price of your school. While you are on property they encourage you to take some time to enjoy all the amenities they offer. The members clubhouse is home to an on-call massage therapist, a state-of-the-art workout facility, pool and spa, conference room, billiard and poker tables, an outdoor patio with a fire pit. On property you will also find a lake, racquetball and basketball courts, as well as a horseshoe pit. 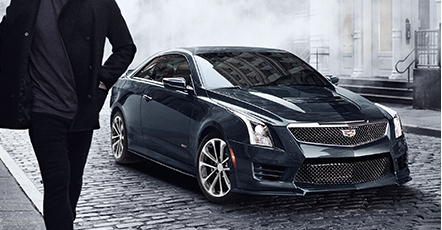 This is truly an executive world class experience for Cadillac V-Series owners. Cadillac is launching a new V-Performance Academy at Spring Mountain. The V-Performance Academy is a 2-day driver training experience located about 50 miles west of Las Vegas that is – importantly – now included with every 2017 model year Cadillac V-Series retail purchase. The two-day course includes a combination of track performance driving, car control safety exercises, and classroom training to help customers improve technique and take driving skills up a level. Thanks to small class sizes, customers will receive attention from professional instructors on and off the track. As part of this luxury experience, customer may bring a guest, who is welcome to enjoy the resort’s amenities. In addition to the Cadillac V-Performance Academy, the popular V-Performance Lab will continue in key locations as part of the overall Cadillac V-Performance Driver Training offer. This year, the V-Performance Lab will take place at Lime Rock Park from October 20-22, and once again at Circuit of the Americas, this time from November 18-20. After delivery to the original retail customer of a new, unused, 2017 model V-Series unit, Cadillac will reach out with a Welcome Package insert to remind the customer s/he has one year from the date of retail purchase to schedule Academy attendance. Preregistration is accomplished between the customer and Spring Mountain Motorsports Resort and Country Club, facilitated by a link from Cadillac.com and coupled to the customer’s V-Series VIN. The customer is responsible for airfare to / from Las Vegas, and Cadillac covers ground transportation from Las Vegas International Airport, Academy tuition, 2-night luxury accommodation, and meals (except for the second night dinner, for which the customer is offered premium recommendations). Customers are welcome to bring a non-driving guest and may add a driving guest for a fee. Customers may also transfer the Academy credit to a family member. NEW YORK -- Matt Russell has owned several BMWs and has raced them for years. He fulfilled a childhood dream by working for the stalwart German automaker for more than a decade -- until June, when he left BMW to take a marketing post at Cadillac. He's among about 60 newcomers to join Cadillac's global headquarters here recently; it relocates this week from temporary digs to a permanent home in a lower Manhattan office building overlooking the Hudson River. Some, like Russell, have come from marketing roles at other luxury auto brands, including Mercedes-Benz, Jaguar and Audi. Others arrived from the world of high-end consumer goods: Godiva, Ann Taylor and Belvedere vodka, to name a few. Why would these relatively young marketers leave such established, top-shelf brands for a daunting reclamation project -- one that even Cadillac's top executives acknowledge could take a decade? In short, they see an unprecedented chance to reboot a 113-year-old brand, a name once synonymous with greatness. That opportunity has attracted a diverse mix of marketers, several of whom shared their reasoning during interviews in New York this month. They like what they describe as a startup atmosphere, a vibe nurtured by Cadillac's relocation to New York. They have bought into the comeback story outlined by brand president Johan de Nysschen and marketing chief Uwe Ellinghaus. Many say they favor the frenetic pace of a turnaround project over maintaining the status quo at an elite brand. That was the motivating factor for Russell, 38, who helped launch the Mini brand while at BMW. "I've never forgotten how exciting it was to go out and find growth like" the Mini launch, said Russell, life-cycle marketing manager for Cadillac's ATS and CTS cars. "BMW is slow and steady growth. I was at a point where I wanted to take some real risk." Cadillac's new global nerve center is run from the top two levels of a 16-floor, century-old office building in a neighborhood that abuts three of Manhattan's trendiest areas: SoHo, Tribeca and Greenwich Village. A ground-floor space of cement floors and bare lightbulbs will house a Cadillac experience center by next year -- think lounge area with a mix of new and classic Cadillac cars and digital displays. It will share the street level with an exposed-brick coffee shop that has a latte tap and sells an 8-ounce bag of exotic Panamanian coffee beans for $58. The headquarters houses mostly marketing and brand-strategy people. The roughly 60 newcomers are joined by about the same number of Cadillac or General Motors veterans. Of course, thousands more support Cadillac back in Detroit, where designers and engineers are working on a slew of new vehicles that Cadillac badly needs to compete with BMW, Mercedes and others in coming years. But the people working here just might face a tougher task. Cadillac got the attention of invited guests from the New York fashion world at an event this month when it airlifted an illuminated 2017 XT5 crossover over the Hudson River. They're assigned the heavy lifting of transforming Cadillac from a stodgy relic into a contemporary lifestyle brand, one that generates the sort of organic demand that compels people to buy a Mercedes or a Gucci handbag simply because of what the badge conveys. Cadillac's marketers are trying to do that by discreetly putting the brand in the path of influencers from the worlds of fashion and architectural design, two lifestyle realms with which Cadillac is trying to align itself. This month it co-hosted a men's fashion show at a classic-car club near Cadillac's headquarters, where a few hundred 20- and 30-something fashionistas mingled while sipping cocktails and perusing the latest items from a collection curated by Cadillac from New York designer Nick Wooster. A couple scantly noticed that new V-series sedans sat amid the crowd. "To an extent we're starting from scratch in the way we approach the brand," said Amanda Knauer, a brand strategy and implementation manager who joined Cadillac in May after having worked at Belgian chocolate maker Godiva and Johnny Walker scotch. Knauer, 34, a New Jersey native and longtime New Yorker who once ran her own leather-goods company in Buenos Aires, says she was attracted by the chance to apply an entrepreneurial approach to an established, iconic brand. "It's not just inheriting last year's plan as a template. It's looking at things with a fresh set of eyes," she said. Pierre-Alexandre Lebard, 30, agrees. 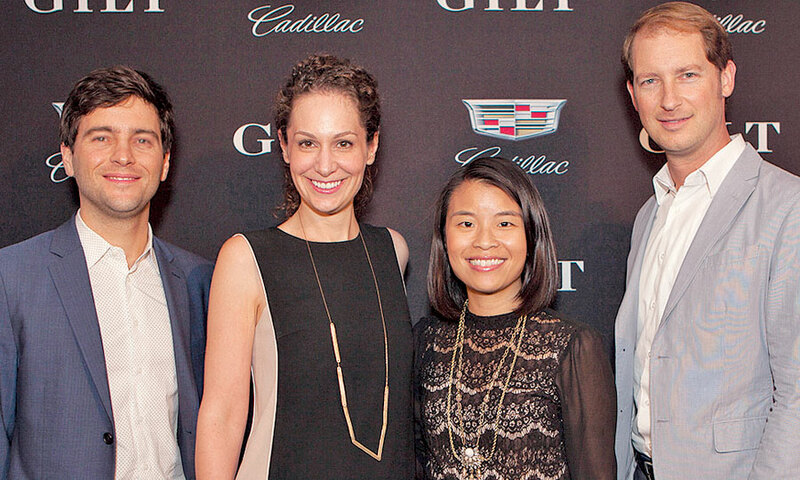 He became Cadillac's global marketing planning manager in June after leaving French luxury goods maker LVMH, where he managed the Belvedere vodka brand. He says the fundamentals of selling to luxury buyers are the same, whether its autos or liquor. "It's knowing not only how to reach that really tough-minded luxury consumer but then build and manage a relationship with them," he said. Background: While at LVMH, Lebard also served as Northeast marketing manager for the Krug and Ruinart Champagne division. Background: In 2004, Knauer launched a luxury leather goods business, Qara, in Buenos Aires, eventually partnering with a private-equity firm to expand the business in the region. Background: At H+K, Lee provided communications and public affairs counsel to corporate clients and led the office of the global chairman. Specialties included transactions, crisis and litigation, and public affairs support. Background: Russell spent 15 years at BMW, including stints as brand manager for the M line and in BMW's U.S. motorsports division. De Nysschen likes the mix of old and new blood. He says part of the calculus of GM's decision one year ago to split off Cadillac as a separate business unit based in New York was to recruit talented people who might not have wanted to live in Detroit, especially those with nonautomotive backgrounds. "We have enough car experts," de Nysschen said in a July interview. "I wanted people who bring new ideas and perspectives because we might have blind spots." Being in New York allows Cadillac "to be there where trends are created, to not only observe them firsthand but be immersed in them." Cadillac has been reeling in defectors from luxury automakers, too, though, including a handful who left Mercedes ahead of its recent move to Atlanta from Montvale, N.J.
Eric Jillard, 45, left Mercedes last spring after six years to become Cadillac's director of brand execution and digital marketing. He had some doubts, he admits. During his job interview with Ellinghaus, Jillard expressed concern about how far Cadillac must go to gain awareness even in its new hometown. "I told Uwe: 'I don't know one person who owns a Cadillac,'" Jillard said. But ultimately he bought into the plan, partly because of how Cadillac's executives have articulated their vision and their commitment to see it through. "They've made it clear that this isn't just another turnaround plan without any real plan," Jillard said. "We really feel like we're on the cusp of something great." 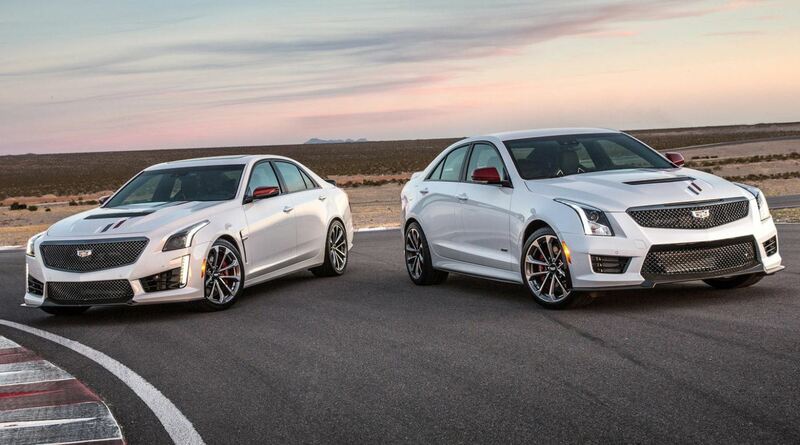 2016 ATS-V & CTS-V will be arriving at dealerships soon! It's time to experience pulse-pounding performance in the new ATS-V and CTS-V. Boasting high-powered engines, powerful torque and breathtaking acceleration, build yours and be one of the first to start owning the road. The 2016 ATS-V will be on the road soon, bringing with it class-leading 0-60 acceleration and unbridled Twin Turbo power. The 2016 ATS-V is equipped with a commanding 464 horsepower, 445 lb-ft of torque and Brembo® high-performance brakes. Yet with its light frame, nimble handling, and adaptable drive features, the ATS-V is one of the most agile vehicles on the road. It's a rare breed that's at home both on the road and the track, and it's available to order now. Build yours today. 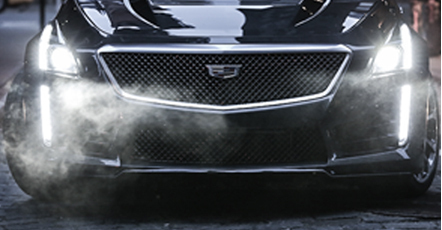 Bred for the track, but certified for the road, the new 2016 Cadillac CTS-V makes its debut this summer. This third generation CTS-V dominates every inch of the pavement with a supercharged 6.2L V8 engine and an 8-speed automatic transmission. A segment leading 640 hp and 630 lb-ft of torque will launch you from 0 to 60 in 3.7 seconds with a top track speed of 200 mph. Now is the perfect time to build one for yourself.